We make negative content in search results virtually invisible by pushing it out of sight. We make the best things about you prominently visible to others in online search results. 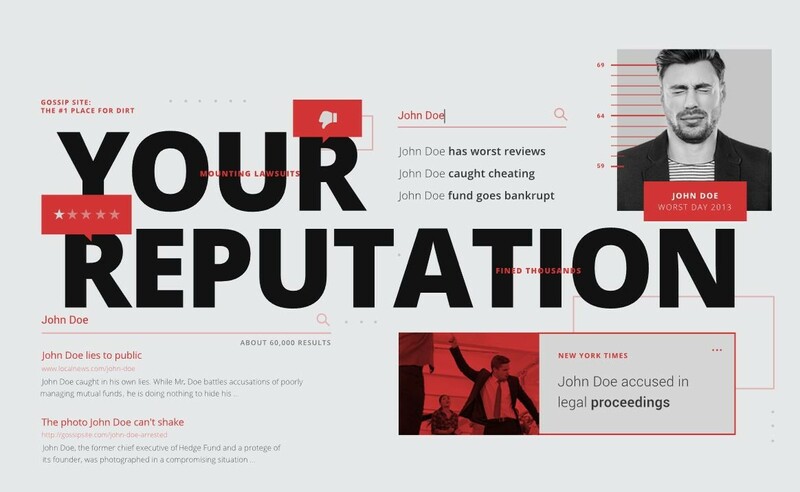 Debello builds a buffer against online attacks to constantly protect your reputation. 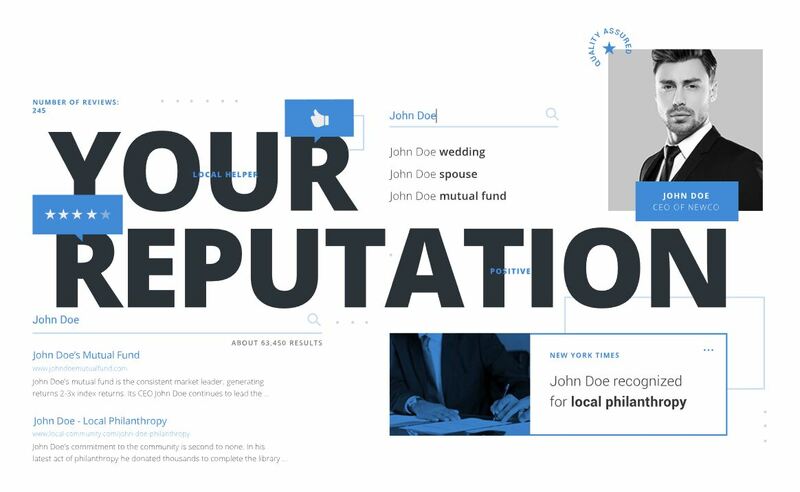 For high-profile individuals and companies, your online reputation is your most valuable asset. If you’re a CEO, your search results will impact the decisions of potential customers. If you’re a politician, your online reputation is crucial to shaping the views of your constituents. At TeamDebello.com, we will help restore and protect the reputation you’ve worked hard to build. Whether you have been grappling with a negative review or unfavorable press coverage, facing a crisis, or simply want to build immunity against unexpected obstacles, seeking the help of a professional online reputation management team is your best, most effective option for regaining and maintaining control over your online image and search results. We tailor our approach based on your specific goals. You need Digital Reputation Management. Online reputation problems can be especially damaging for job seekers. We know that 92% of U.S. companies recruit and screen candidates online. And 34% of hiring managers have dismissed candidates based on online reputation problems. Facebook is a favored recruiting tool for 82% of colleges, and colleges are increasingly researching potential students online. Many of these are big life moments you’ll see coming, but some of them may pop up as a surprise. Others, like networking or attracting new clients, occur on a near-constant basis. That’s why it’s essential that no matter where you are in life, you should make sure that your online reputation remains positive. Thats why Digital Reputation Management is so important. Again, it doesn’t matter if you have no immediate need for a great online reputation. As long as you need it someday — and you will — it’s important that you pay attention to what’s out there, and what you continue to leave for others to find. Though the Internet moves at a fast pace, it’s also incredibly slow to forget. News stories or an unfavorable photo from 10 years ago may still show up on your first page of Google results if the search engine thinks they’re important. There are also tools that make content on the Internet virtually permanent. With caching and the Wayback Machine, content that has ever been posted online is recorded and saved, and can be retrieved swiftly if someone knows to look for it. Your social media content may also be searchable, which means it’s important to know how to leverage these properties to the advantage of your reputation, rather than to its detriment. This can help in the process of developing a strong online reputation with prevention, response, and proactive, positive online reputation building.